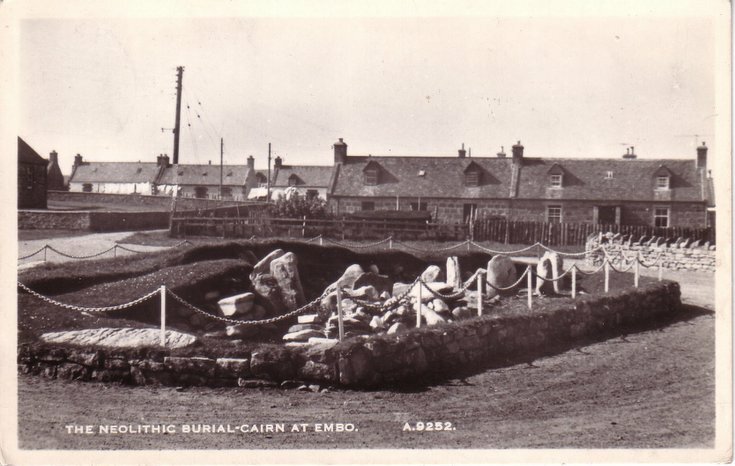 Monochrome postcard, from the Basil Hellier collection, showing a burial cairn at Embo. The reverse has a QEII purple 3d. stamp, and a Falkirk address.